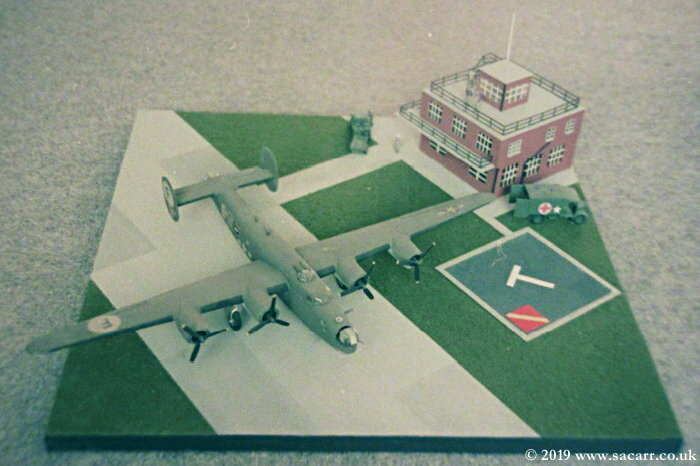 Airfix 1/72 scale Lancaster, dating from around 1977. 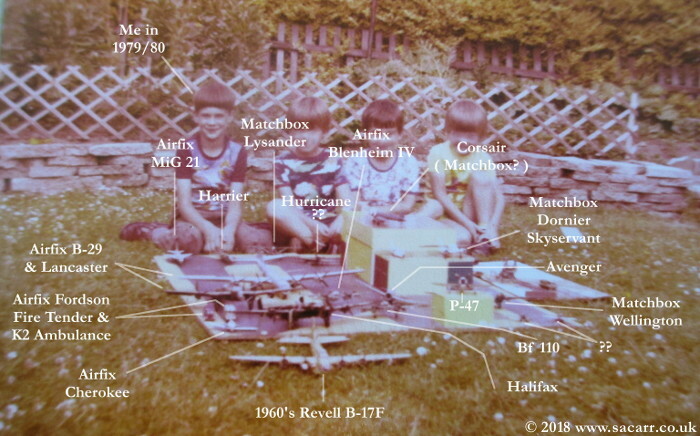 A collection of my models on a model airport, possibly from 1979/80. 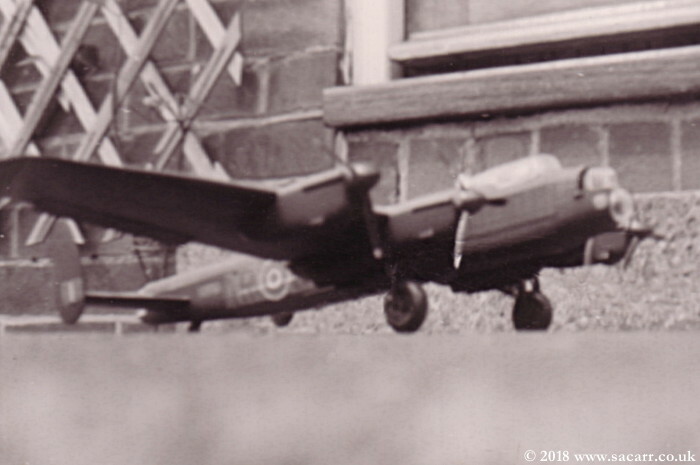 Since the Lancaster is in this shot, it must be post 1977. 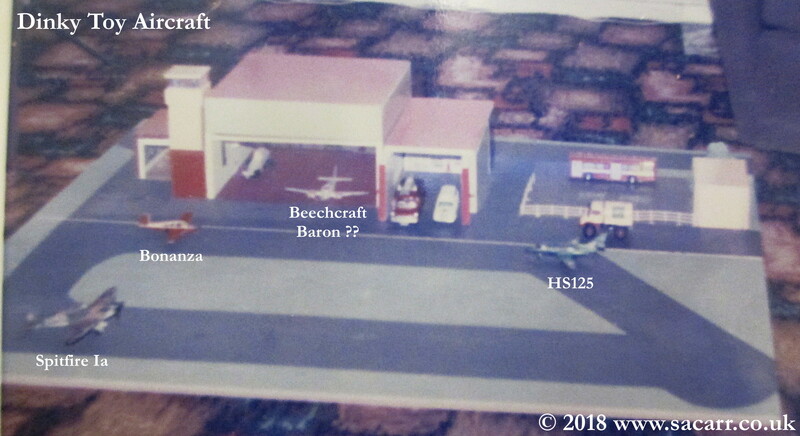 Another view of the model airport, this time with a collection of Dinky Toy aircraft and vehicles. 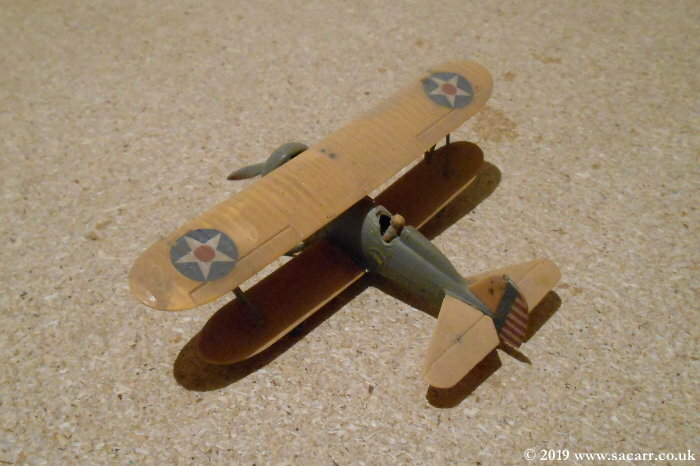 I think this lived under my bed when not in use. 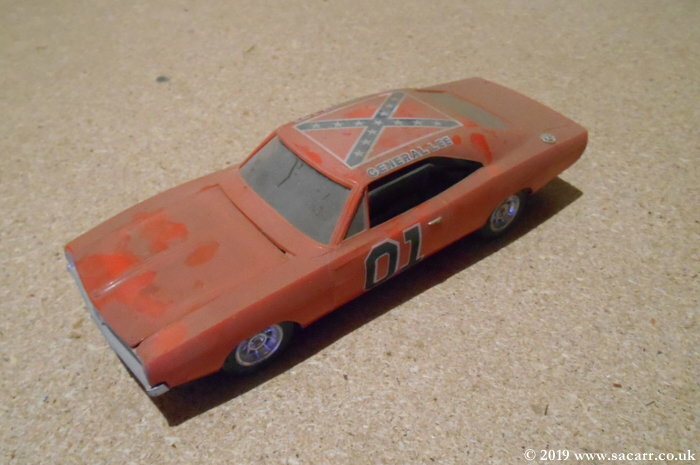 "Dukes of Hazzard" Dodge Charger - "General Lee"
Airfix 1/72 scale Chipmunk. 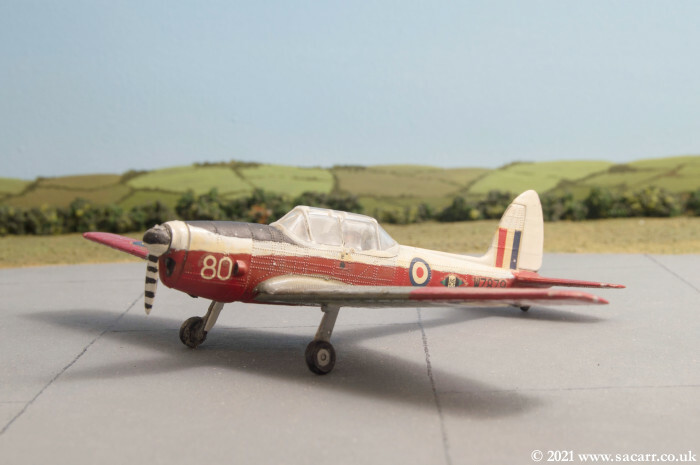 Possibly bought after an Air Cadet flight in a Chipmunk from RAF Leeming, around 1983. 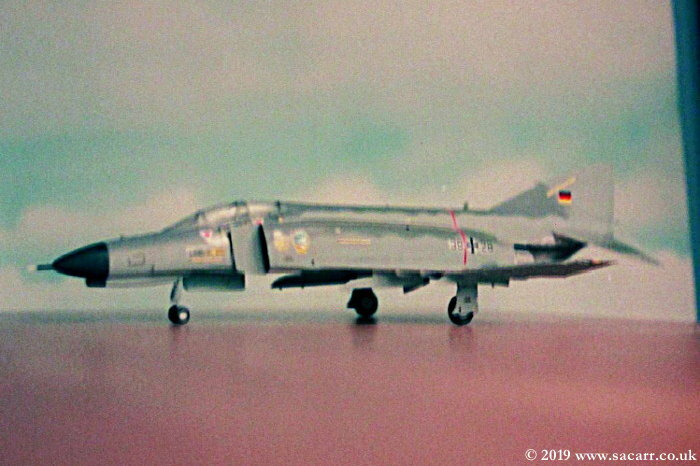 This Phantom was built while at university in 1990. 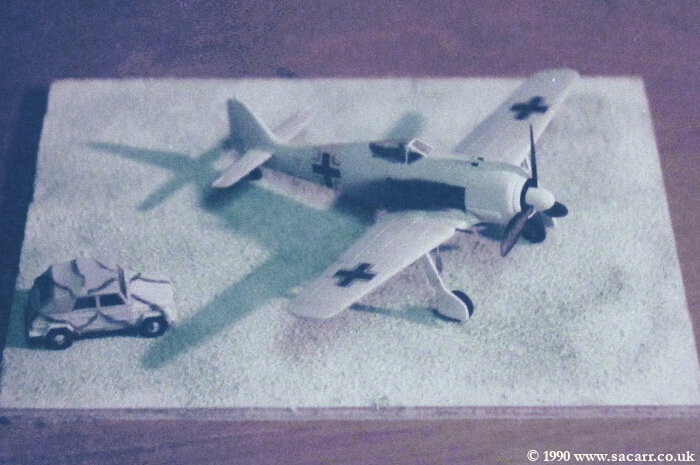 This Fw190A was built while at university in 1990. 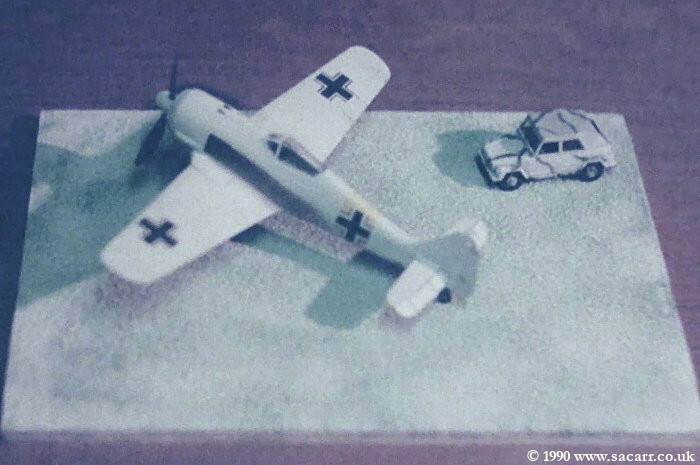 The Kubelwagon was a Viking pre-made vehicle. 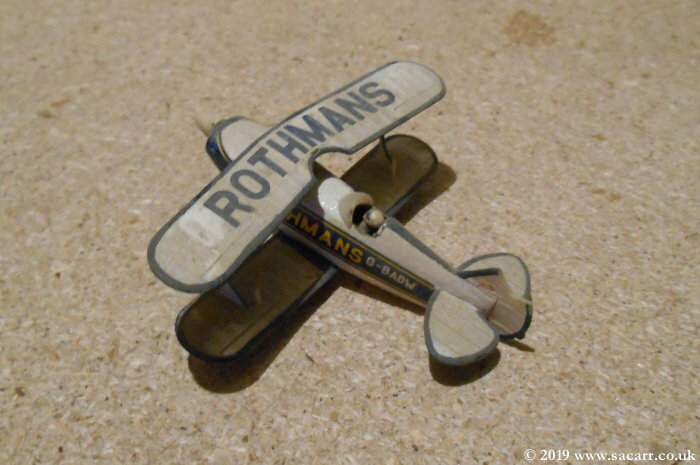 1/72 scale Matchbox Boeing P-12E, missing its wheels. 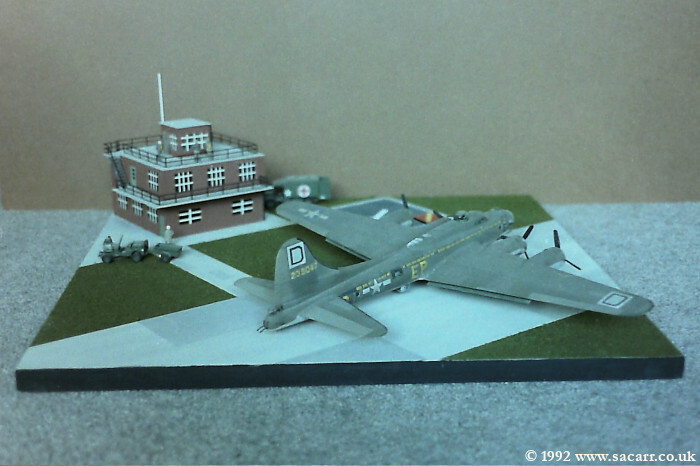 The B-17, B-24 and diorama were part of a university exhibition project. 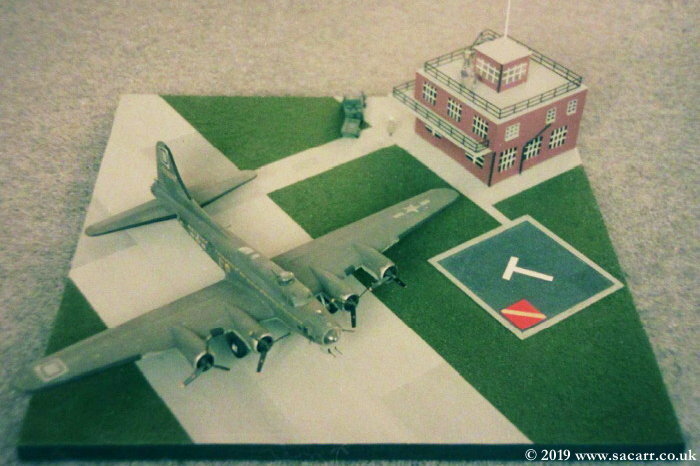 The B-17 was a Hasegawa kit. 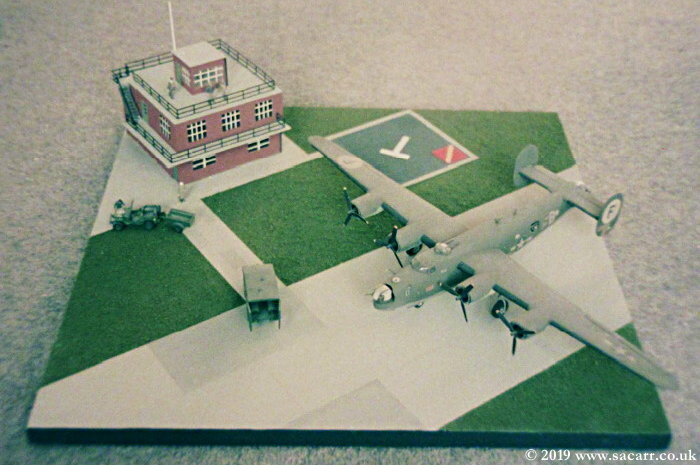 The B-24 Liberator was from Airfix. 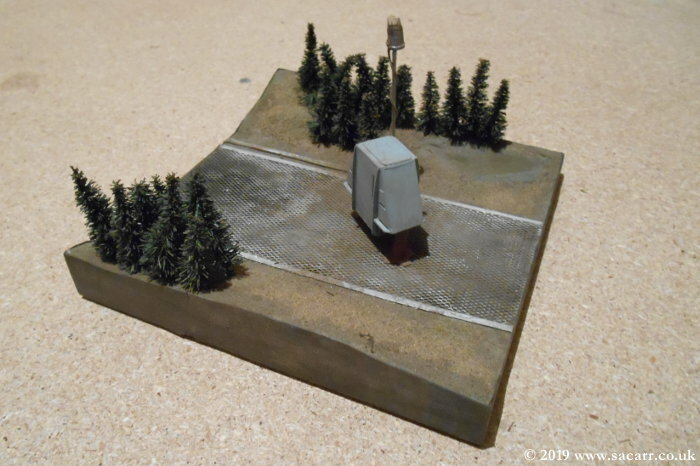 The Jeep and Ambulance were Airfix while the tower was scratch built. 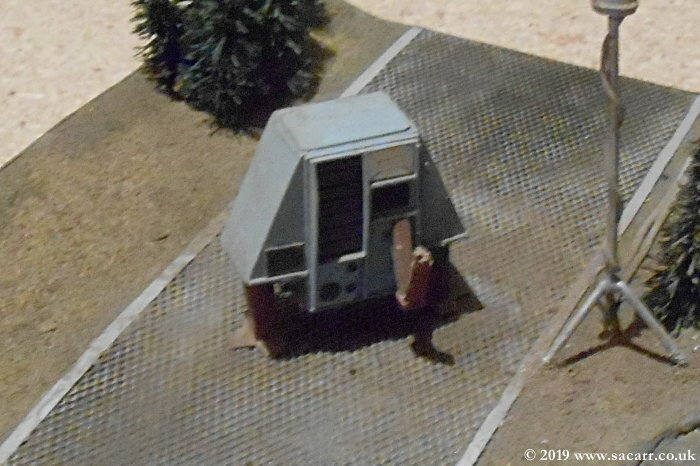 The robot "Dewey" from the film "Silent Running"
Dewey was scratch built from memory, several years after seeing the film. 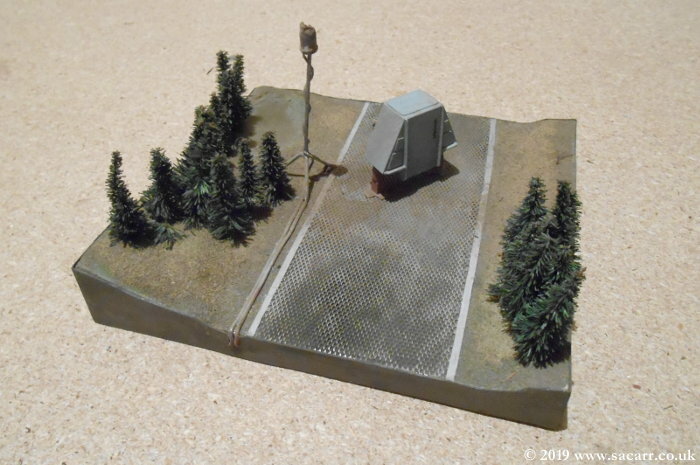 This was made long before the days of the internet. 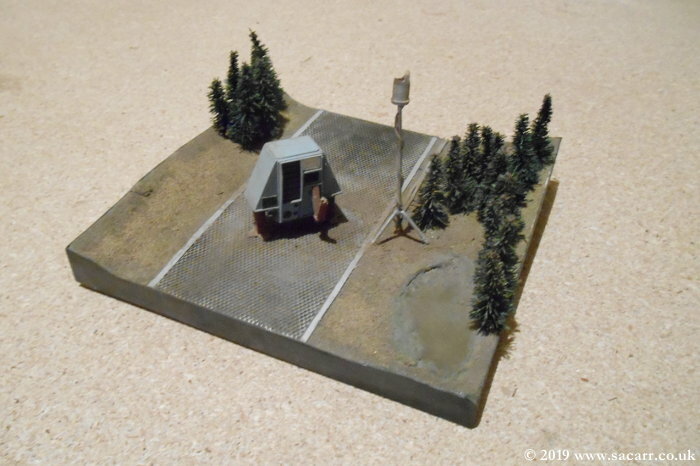 The diorama and robot were scratch built. 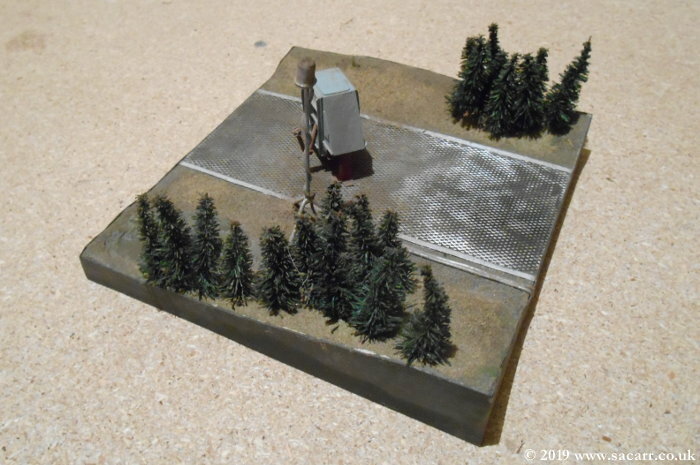 The trees were model railway accessories.